A few days ago, I facilitated the Google Summer of Code Book Sprint. We had already written one book last year in a 2-day sprint, so this year we updated that book and added a second. 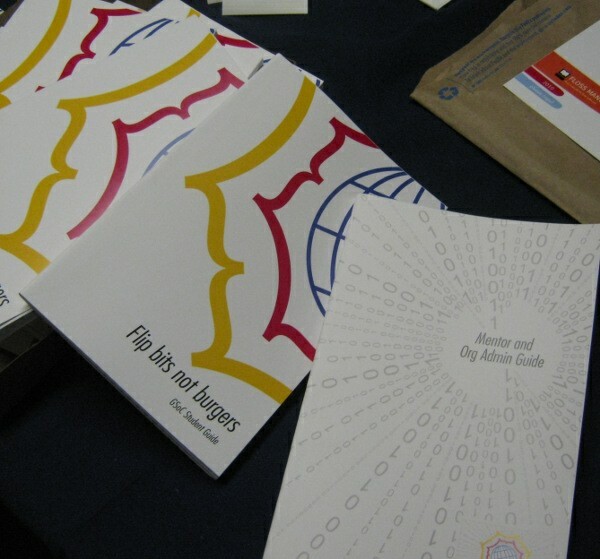 ‘Flip bits not burgers’ (the student guide) was written in just two days by a great team of experienced GSoC mentors. After writing the book in Booki, we output the text to the US 1/2 letter format (8.5 inches x 5.5 inches) which is the closest to the European A5. The book-formatted PDF produced by Objavi (the Booki publishing engine) looked fantastic so we printed the interior and I designed a cover in Inkscape (http://inkscape.org/) and printed the colour covers. We then cut all the content and had a binding party! Google Summer of Code book binding party! To bind, we used the Fastback 9 and the results looked fantastic. 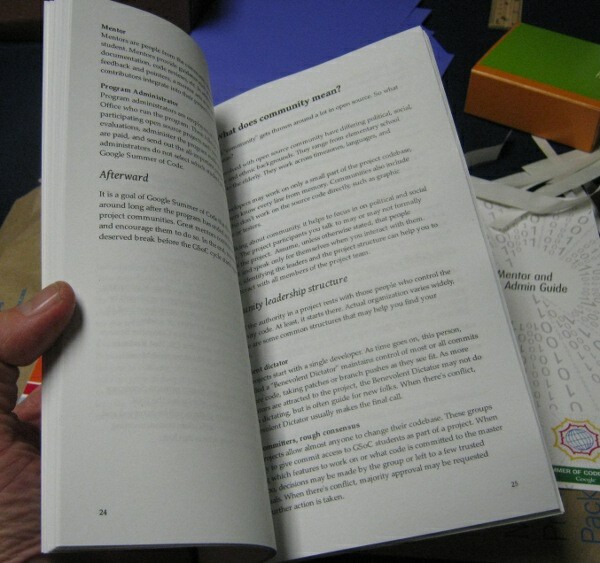 It was really good to write the book and then print and bind the book ourselves immediately after. Mentor & Org Admin Guide (right) and Students Guide. The interior looked pretty cool too. Interior produced by Objavi in about 2 minutes. Next Next post: What is a Free Book?